Providing high energy interactive Drumming workshops, Drum circles and Performance groups for schools, youth and adult groups, corporate and community events, festivals and more. We design our events to suit the needs, age and size of your group. We provide all the instruments, equipment and facilitation.Our sessions can range from a 45min Drum Circle to a progressive weekly Drum workshop 1-4 hours. We can also provide half & full day programs including Dance and Crafts Workshops for groups and events. 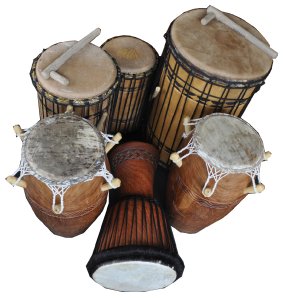 Drumming has for a long time been known to have profound effects on those listening and playing rhythms. David Day is the founder of jabba jabba jembe, he has been studying African and World Drumming for over 20 years at home in Ireland and also with Teachers in Europe the US, Senegal, Gambia, Guinea and Ghana, West Africa. For over 10 years now Dave has been providing Drumming Workshops and Drum Circle events to a vast range of groups including Schools, Festivals, Corporate and Community groups. Our aim is to allow people the opportunity to have fun and enjoy drumming and creative music making in a friendly group environment. Fill in this form and we’ll contact you to arrange a workshop to suit you and your group.